Lot 218. 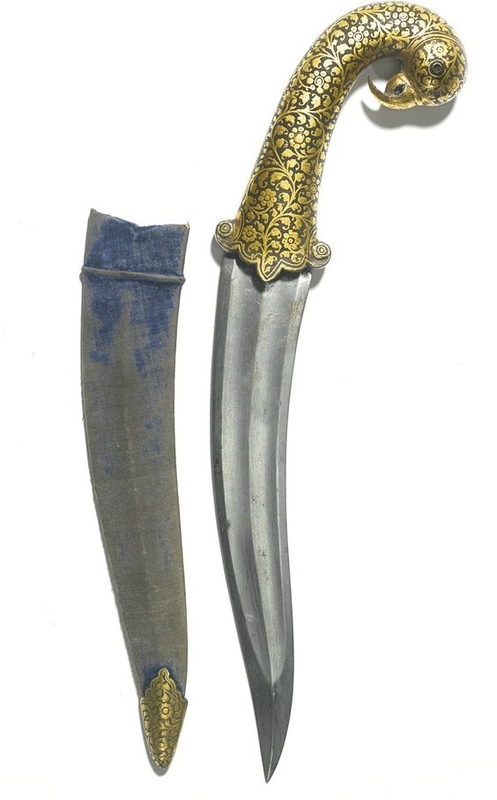 A steel dagger with gold-overlaid hilt and scabbard, India, 19th century. 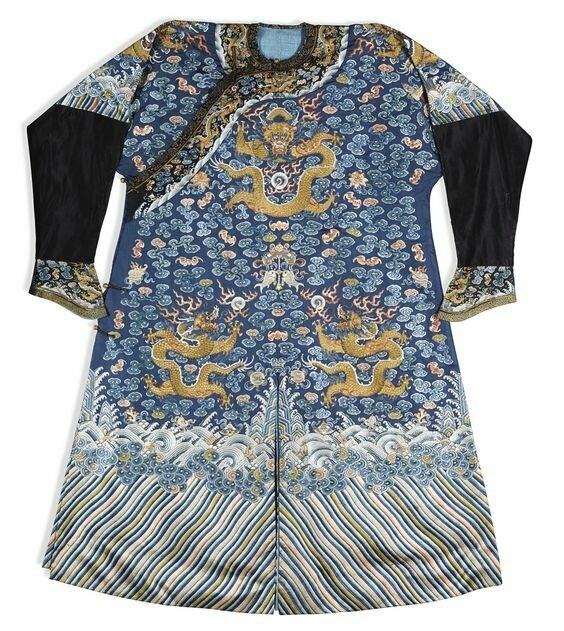 Estimate 3,000 — 4,000 USD. © Sotheby's. 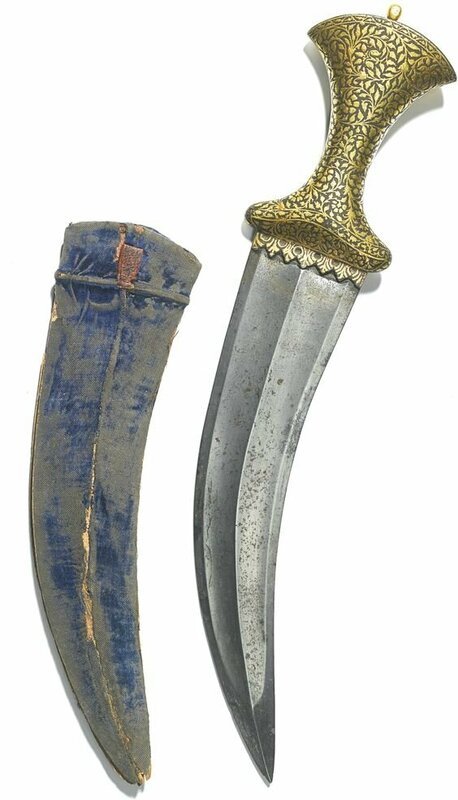 curved double edged steel blade with central ridge, the iron hilt with gold-overlaid foliate decoration, velvet-covered wood scabbard; 35.5cm.